A police station on Chicago's West Side opened a new basketball court for the community Sunday afternoon. 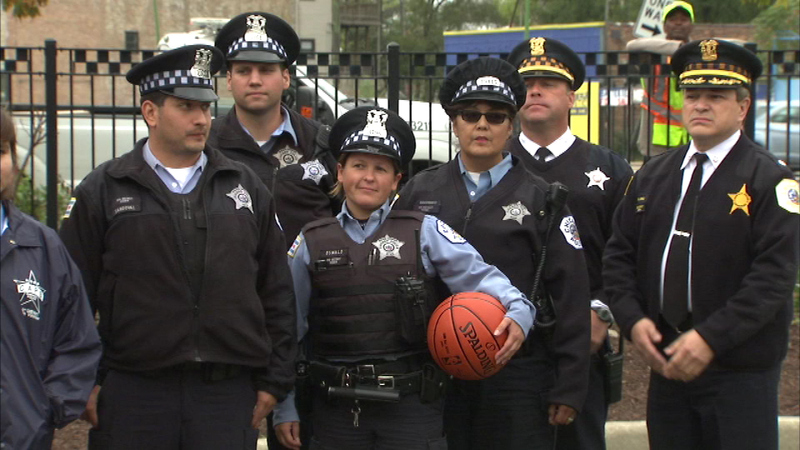 CHICAGO (WLS) -- A police station on Chicago's West Side opened a new basketball court for the community Sunday afternoon. Mayor Rahm Emanuel led the ribbon-cutting ceremony at the 10th District Police Station in North Lawndale. The new basketball court was built on the site of an old parking lot. Although it is located at the police station, the court is for public use.